Looking for a life-changing adventure? Try kids! 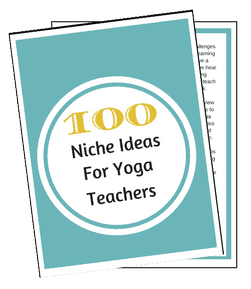 You might have entered the magical world of teaching yoga to enable your dream of traveling the world and throwing yourself into a kaleidoscope of adventures. Then along came Polly… or Jason, Max or any other name you have bequeathed upon your mini me. A spanner in the works or a new opportunity? Ultimately, that choice lies with you. Procreating and adventuring may be perceived to be the very antonyms of each other. However, whilst breeding has got a bad rep lately, there are plenty of examples for those who make it work – and look pretty good doing it! 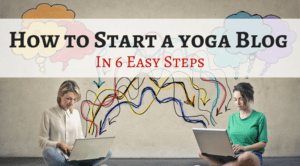 Social media fans will recognize Yoga Girl who has recently become a mama to baby Luna and manages to combing a kick-asana practice, thriving business, husband and baby girl. Namaste to that. 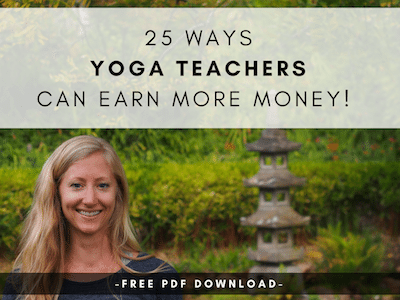 On a more mortal level, I know at least two ladies who have fully embraced the ‘mumpreneur’ challenge and let pregnancy transform their teaching. 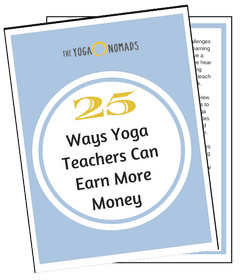 Now specializing in pre- and post-natal and kids’ yoga, they took their practice (and income) to a whole new level through what they saw as a new opportunity. 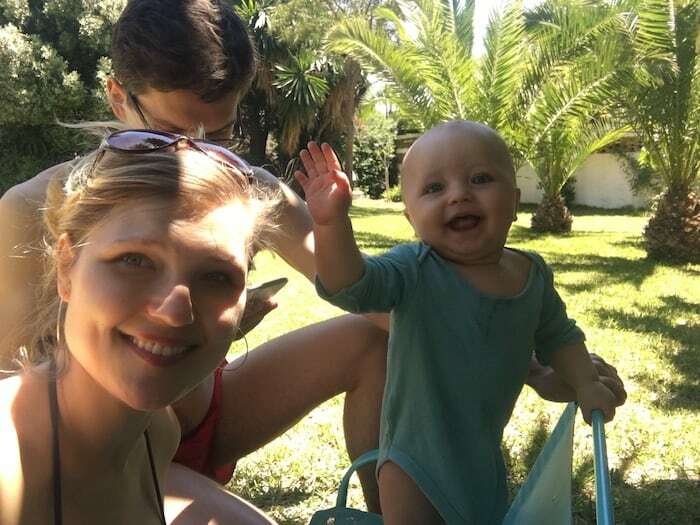 Still, whilst combining a teaching career with parenthood in your home town is like studying for a college degree, teaching AND traveling around is like signing up for a double PhD – a whole lot harder! Is the challenge for you? If you are reading this article, I would venture the answer is ‘YES!’ – and why shouldn’t it be? There is no point pretending that traveling isn’t stressful enough without a clammy hand or two pressed into yours; but, if you crack it (and crack it you will) there could be a whole world, yes literally, of opportunity there at your feet. 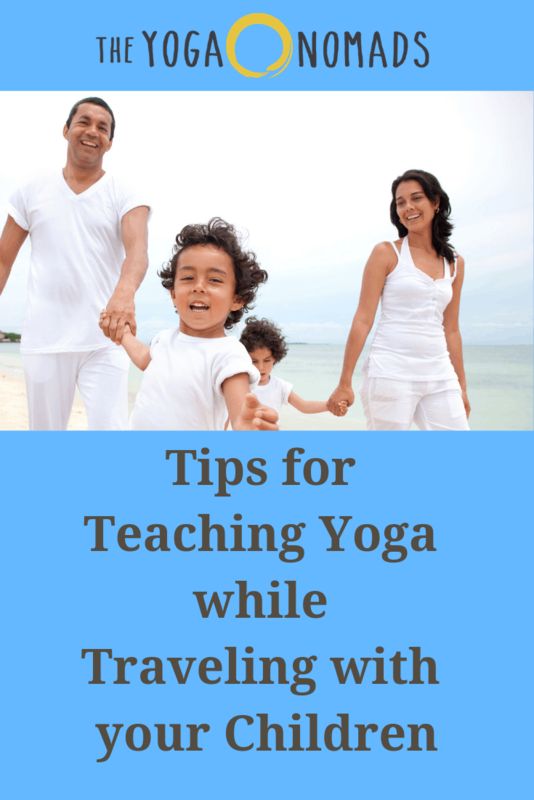 Here are some practical tips that will make traveling and teaching yoga with your kids possible, achievable and actually enjoyable. Throwing caution to the wind and trusting in the kindness of strangers might have worked for the pre-baby version of you. However, as a parent, you need to get in place the basics: travel, accommodation, documents, travel jabs, money, reserve money, insurance, working phone, local contacts, Plan B. This simple, yet sometimes daunting, act of planning will help you juggle the throws of parenting while also teaching yoga on the road. If you are moving around frequently, keeping a checklist of key travel items on your phone can help avoid a lot of last-minute drama. Imagine yourself on the journey or in the new place. What will you need? What will you use? Then make a list of it. When it comes to packing time, all you have to do is work through your check list. Passports? Chargers? Teddy Tom? Tick, tick and tick. 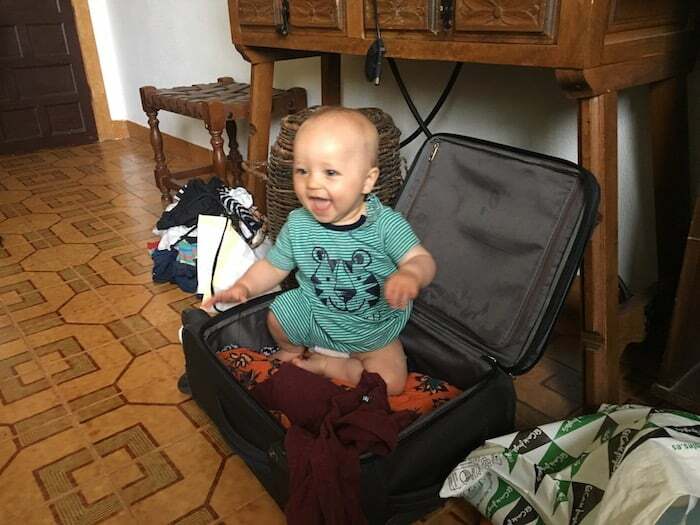 Much like planning holidays, the key to successfully traveling and teaching with your baby is to plan around them. 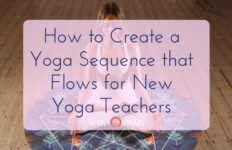 Yes, your yoga class is important and you need to be sure to show up on time, teach a great class and connect with your students. But, the needs of your children will take priority. 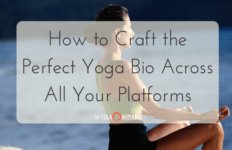 Embrace your yogi mama or papa identity and don’t focus on what cannot be. Once kids enter the picture, certain yoga retreats or experiences may not be suitable with kids in tow. Additionally, while your kids are still infants, their needs will differ from those who are older and more self sufficient. Leading a week-long silence vow retreat will have to wait a few years. In the meantime, kids yoga is a rapidly growing trend, why not take an additional qualification? Don’t assume that you cannot get class time at a certain studio or a gig in a certain place because you are +1 (or more!). If you are on temporary placement, ask if the owner / organizer has provisions in place for family accommodation and be clear on what you need. You might even find that shared childcare options are available. Of course, it may be that the location you have in mind is simply not suitable for children and that is fine – but don’t let a good chance pass you by because you just assumed. 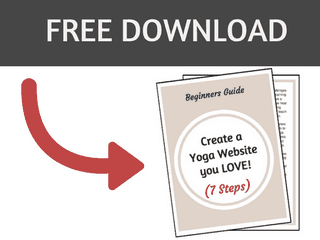 You may be having a wonderful adventure teaching, but have you thought about what else you could do in the yogi world? 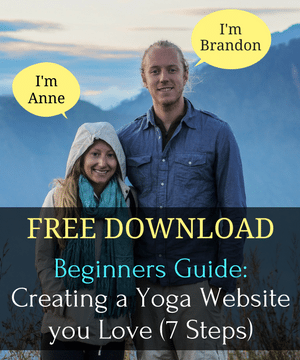 Sites like yogatraveljobs.com allow you to seek for a whole range of options and can be your starting point to being a venue manager or flexing your marketing and managerial muscles for a studio, working the Mac rather than the mat. 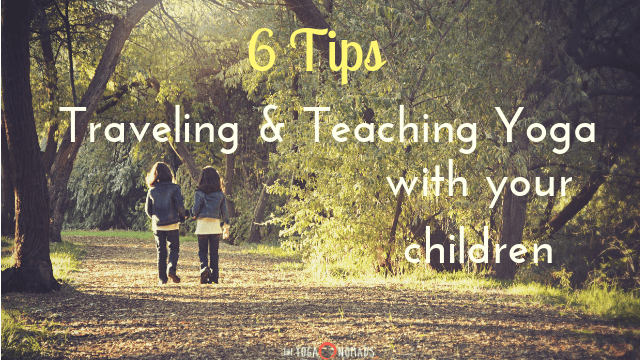 Kids do not have to be a hinderance in your traveling and teaching lifestyle! With some careful and thoughtful planning, you’ll find that kids will enhance your experience in ways previously unimaginable. 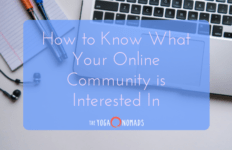 Victoria is a freelance writer, yogi and Doula as well as the mother of an amazing little boy. She has lived around the world, chasing the sun. She is currently living in Glasgow, Scotland, where the sun definitely needs to be chased as it hardly ever comes out! When it does, its glorious.